Home Travel 8 Best long weekend destinations for a quick vacation! 8 Best long weekend destinations for a quick vacation! Come long weekend, and we all get busy discussing holiday plans. But blame it either on the long work hours or the hectic schedule, one can’t research much, as always. If it seems you’ve left it late yet again – worry not! A last-minute trip is often more fun and there is still time to salvage this long weekend. We are here to help you finalise a destination for a short trip so that you don’t miss the boat! Being the only hill station in an otherwise dry state of Rajasthan, the city is jam-packed with tourists during the summer season. But if you really want to beat the rush and enjoy its cool and calm atmosphere, then monsoon is the best time. A good, quick getaway from Udaipur, Jodhpur and Delhi, the city of hills is the best place to go and appreciate nature in all its beauty. Note: While embarking on a road trip from Udaipur to Mt. Abu, you will get to experience a huge change in the topography. 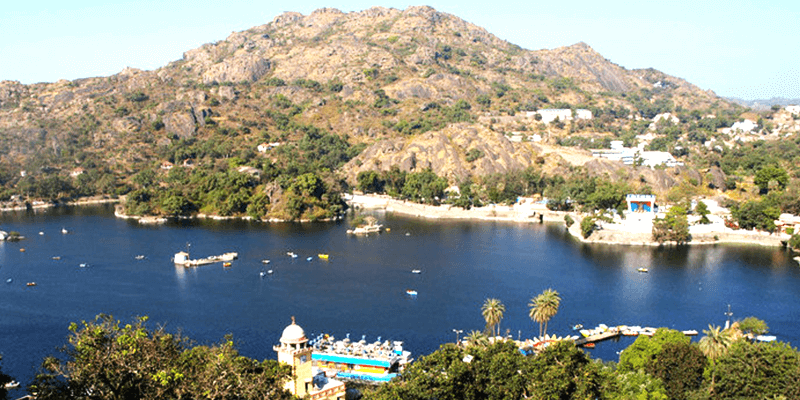 Nearby Attractions: Dilwara Jain temple, Nakki Lake, Mount Abu Wildlife Sanctuary, Trevor’s Crocodile Park. 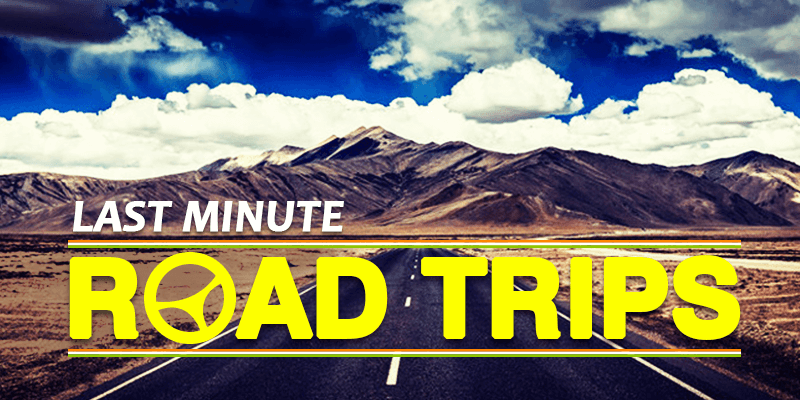 Tip: For a quick road trip, try RailYatri’s Outstation Cab service. Truly the “Scotland of India”, Coorg is one of those peaceful destinations which has all the power to release our stresses and fill us with enthusiasm. It’s mystical hills, cool breeze, mesmerising climate and rich aroma of coffee plantations, will engulf your senses with serenity. Coorg has everything that can make your long weekend really blissful. Note: As you shift the city (Bangalore to Coorg) via road, you will notice a beautiful landscape transition from wild forest cover to tea, coffee and cardamom plantations. Nearby Attractions: Abbey Falls, Omkareshwara Temple, Cauvery Nisargadhama, Iruppu Falls, Chilipili Coffee plantation. 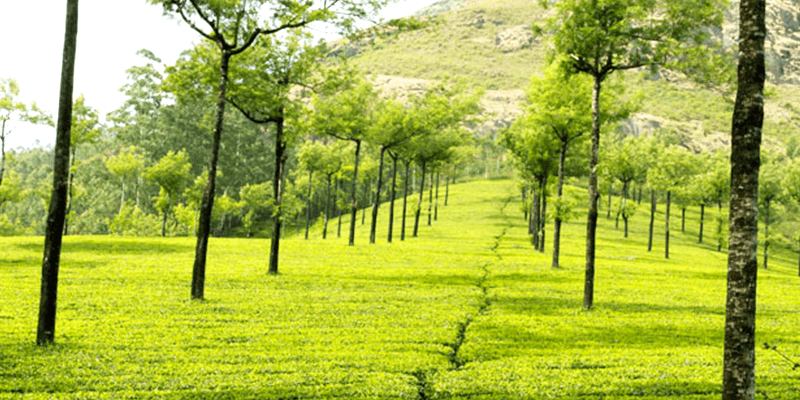 Tip 1: Many tea/coffee estates in Coorg offer stays and activities for you to indulge in. Tip 2: For a quick road trip, try RailYatri’s Outstation Cab service. Gangtok will always retain its alluring charm. It is the proud hill state of Sikkim and witnesses thousands of tourist influx into the city. The ideal weather, serene beauty and lush green forests, makes your visit to Gangtok a peaceful retreat. 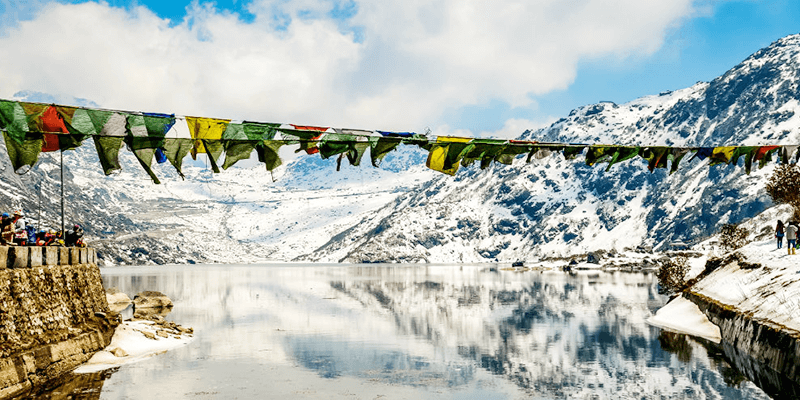 Note: From Darjeeling’s serene landscapes to Gangtok’s high mountains and monasteries, the road to Gangtok is one joy-ride. 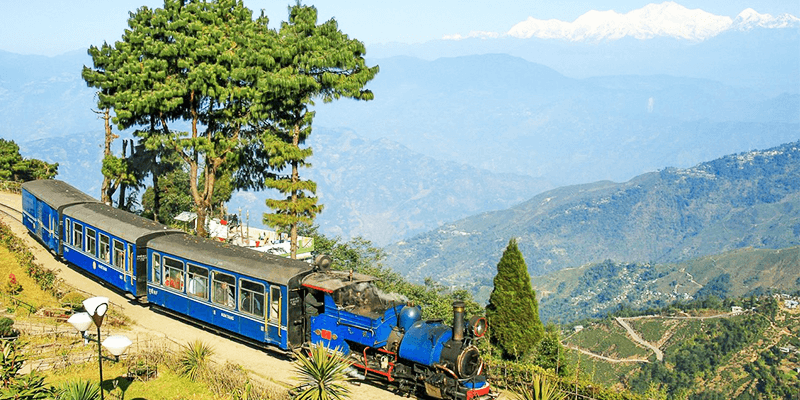 Nearby Attractions: Enchey Monastery, Rumtek Monastery, Nathu La Pass, Khangchendzonga National Park. 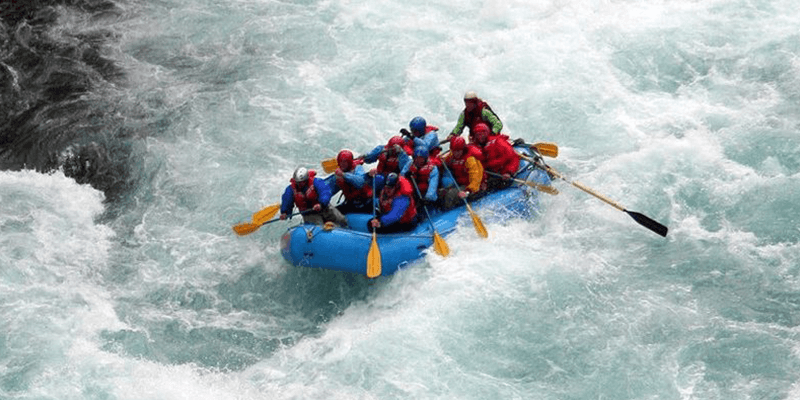 For people who seek a touch of divinity on their summer tours, Rishikesh is the best destination. Situated in the foothills of the Himalayas, it is famed as the ‘Gateway to the Himalayas’. Situated at an elevation of 372 m above sea level, the town is a perfect getaway from Delhi or Himachal. Many sacred temples and ashrams are scattered across the city spread across the city. Lakshman Jhula, Ram Jhula, Triveni Ghat, Ganga Aarti at Parmarth Niketan and Triveni Ghat are some of the great sightseeing options while you are in this holy city. Note: This destination has a quirky mix of plains, mountains, tradition and modernity. Nearby Attractions: Lakshman Jhula, Triveni Ghat, Shivpuri, Ganga Aarti at Triveni Ghat, The Beatles Ashram and Byasi. Tip 1: The Ganga Aarti is organized daily in the evening. It is your chance to witness the beautiful sunset from Ganges shores. The list of tourist points in Goa is a long one. 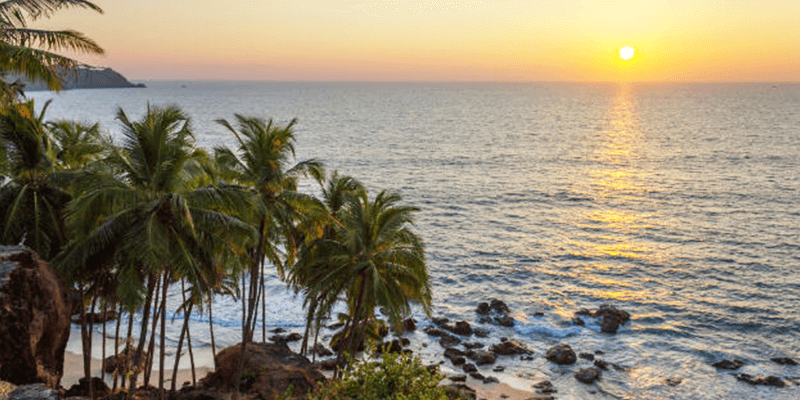 Right from the buzzing beach of Baga to the beautifully-built churches and chapels of Old Goa, the city has ample of scope for fun and merriment. This fun capital of India proudly boasts of sun-kissed beaches, palm trees, cashew plantations, flea markets, cruise rides and what not! Nearby Attractions: Aguada Fort, Butterfly beach, Bom Jesus Basilica, Chapora Fort, Mandovi-Zuari Wildlife Sanctuary, Mapusa market and yes * do not forget to visit Goa’s happening clubs! Tip: For a quick road trip to Goa, try RailYatri’s Outstation Cab service. 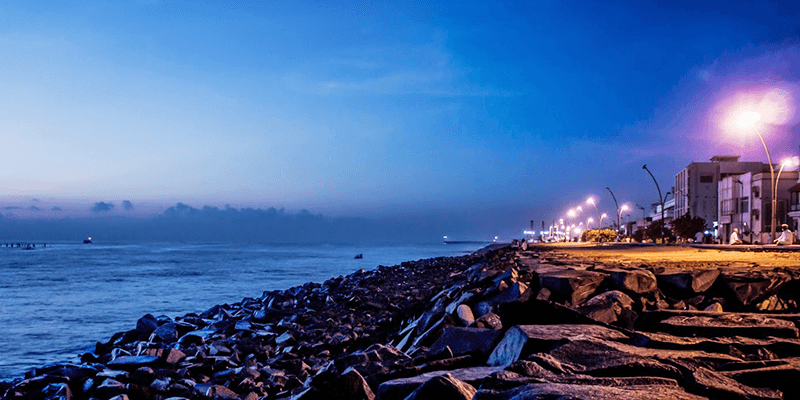 The beautifully-designed city of Puducherry owes its roots to the French culture. Once a French colony, the city has some spell-binding architectures, the Catholic cathedral, unexplored destinations and quaint beaches. A budget-friendly destination, Puducherry has all the elements for a serene holiday. Nearby Destinations: Paradise beach, Auroville ashram, seaside promenade, Serenity beach. Majestic mountains, breath-taking views, pleasant climate and alluring greenery – Shimla offers everything that one can ask for. 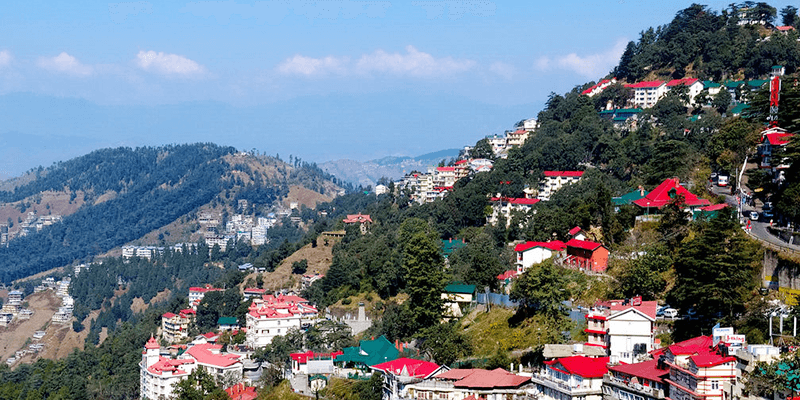 There is some magic in Shimla’s air that makes everyone fall in love with it. “A long weekend coming? Then let’s head towards the endearing beauty of Shimla”, this is an all-time favourite phrase of travellers living in nearby cities. Rightly titled as the “ Queen of Hills” in Southern India, Ooty guarantees a complete holiday experience and an all-inclusive fun retreat. A relaxed and laid-back holiday is what we demand and Ooty just hits the right chord. Note: From the hustle-bustle of Bangalore to the peaceful environ of Ooty, this long-weekend holiday idea is not bad at all! Nearby Attractions: Pykara lake, shooting point, Upper Bhavani Lake, St. Stephen’s church, Ooty lake, Lady Canning’s seat and Murugan temple. Looks like a perfect trip to wake your senses and uplift your spirits? So don’t wait, just HIT THE ROAD! These are the wonderful places! I want to visit to Coorg for my coming weekend. wonderful places for week end trip…thank you for sharing.